If you want to clean your home, there is only one thing you can do: clean! The easiest way to ruin your chances of ensuring a clean home is to procrastinate. Sadly, it’s not going to clean itself so you need to get going right away. Figure out a good time to start, put on your cleaning gloves, and get to it! Believe it or not, but your carpet might be the filthiest part of your entire home. In fact, 22% of Americans even consider their carpets to be dirtier than their toilet seats. You can’t just pour some soap and water on your floors and expect to see clean carpets as a result. 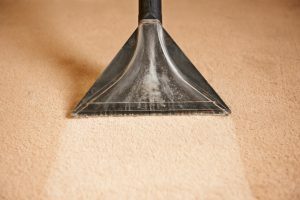 You need to consult with professional carpet cleaning services. Stuffing all your dishes into the dishwasher. Stacking all your dishes or putting too many utensils into your wash basket could ruin your dishwasher’s ability to reach items and actually clean them. Though it takes a little more time, only run lighter loads in the dishwasher to guarantee they are getting clean. These parts of your home are actually some of the dirtiest areas in your home because they are so frequently touched. Use a quality disinfectant wipe on these areas and make sure you’re not neglecting them during your cleaning spree. You should never use the same rag for more than one item in your home let alone the entire house. For each cleaning project, you’ll need new equipment if you really want to keep your home clean. Unless you just want to rinse an unclean area with an unclean rag, get some new cleaning supplies. It’s time to get cleaning! If you want to ensure a clean home with clean carpets, contact Clean Way Professional Cleaning Services today.